Firefighting skills will be on display at Wellington Fire Station’s open day on Saturday, August 19, including those of the animal rescue team pictured here in training with Bullseye, a dummy horse. People with an ambition to be an on call firefighter should go to an open day at Wellington Fire Station on August 19 and talk to firefighters. The annual event gives everyone the chance to see what their local fire crews do and is popular as a family day out. Firefighters will showcase their skills with a simulated car rescue and a shocking ferocious fire to show the dangers of using an old fashioned open chip pan which people still have in their kitchens. 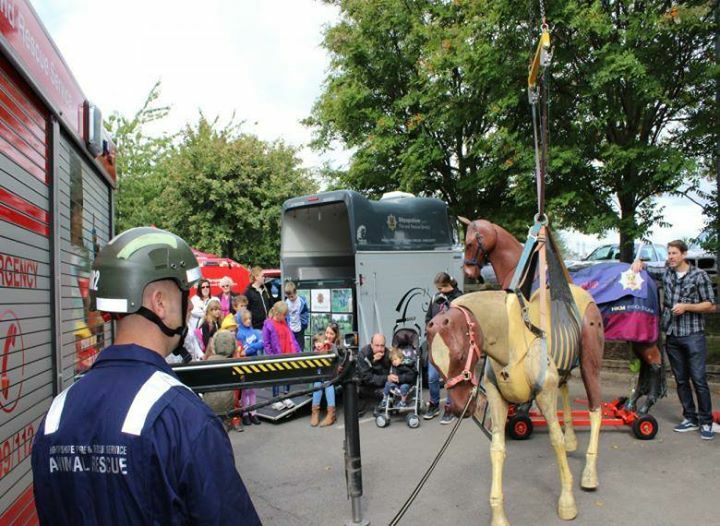 Highlights include a demonstration from the brigade’s highly trained animal rescue team based at the Haybridge Road station next to Telford College. The team was formed a few years ago to rescue cows, horses and other large animals while protecting the public from carrying out potentially dangerous rescues themselves and giving animals the best possible chance of survival. Children can learn potentially lifesaving skills of how to escape from a house fire as they walk through a smoke house. Fire prevention advice, including the necessity for every home to have one smoke alarm on each floor of the house, will also be given out during the day from the brigade’s outreach mobile vehicle. 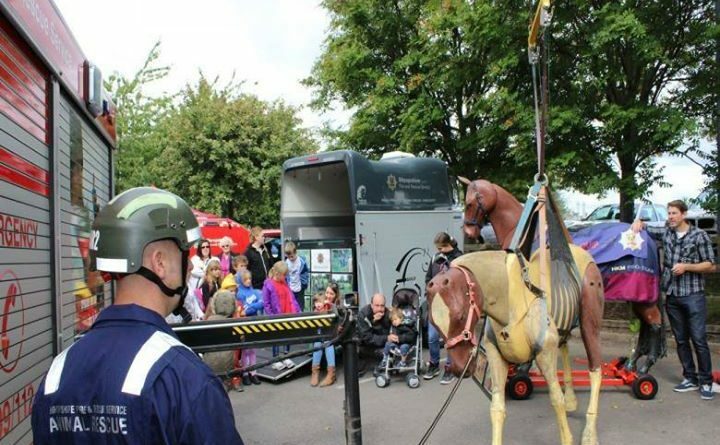 “It’s a free family day out with visual and interesting displays to watch,” said Tony Talbot, of Shropshire Fire and Rescue Service. Men and women firefighters must live or work within five minutes of the fire station. People available to crew a fire appliance during daytime hours are particularly wanted. There will be refreshments and a number of stalls at the open day.